Papua New Guinea U-20 assistant coach Percy Mataio. 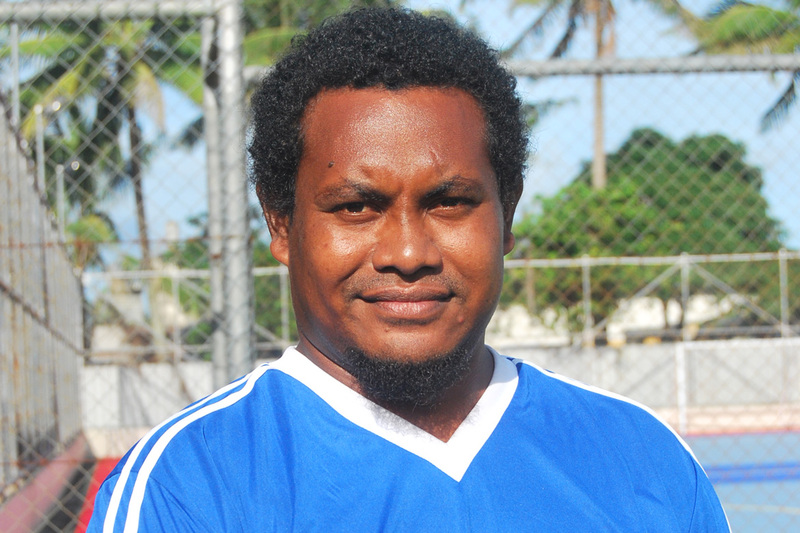 After representing Papua New Guinea Football Association in the OFC B Licence coaching course in Fiji, Papua New Guinea U-20 assistant coach Percy Mataio is excited to share his new knowledge with fellow coaches and member associations across the country. Mataio was among 24 coaches from all corners of the region participating in the week-long course, which applied an interactive style of teaching that allowed the coaches to mutually benefit by sharing their own knowledge and experiences. After excelling in the participatory approach to coaching development, Mataio is confident that the same approach could prove helpful for coaches back home. “The best form of assistance we can give to our local coaches is to impart what we have learnt so they can be empowered to continue to help players develop the passion and skills to become better players and people,” he said. Although the course was a challenging step up from the OFC C Licence, the Papua New Guinean was able to adopt a new perspective to the Beautiful Game and now feels more confident to take on a leading role. “I am happy with the knowledge I have acquired here, it was a refreshing experience,” he said. Mataio now plans to give back to PNGFA for their invitation to participate in the course by sharing his new perspective of the game with local coaches. “I am privileged and honoured to have been selected among other local coaches who are coaching in different levels of competition in the country. It is not easy to get recognised at this level however I have taken my opportunities and have made the most of it,” he said.